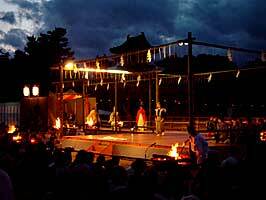 The performance will be held in the ROHM Theatre Kyoto Main Hall if it rains. The decision regarding the change of venue will be made at 3:00 p.m. on the day. 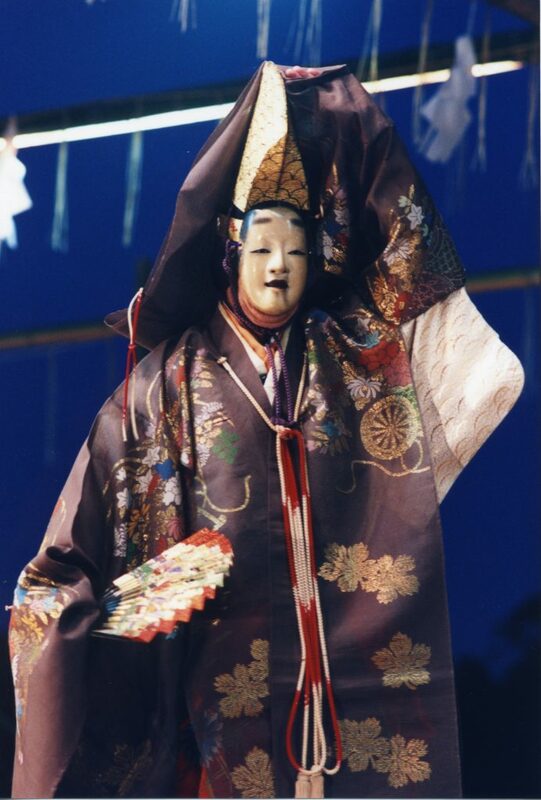 Information will be available from the Kyoto Takigi-noh Office and this website. It can not enter for young children not yet attending school. There is charge for children of elementary school age accompanied by an adult. (Even if he/she has a ticket, a child under elementary school age must still be accompanied by an adult.) 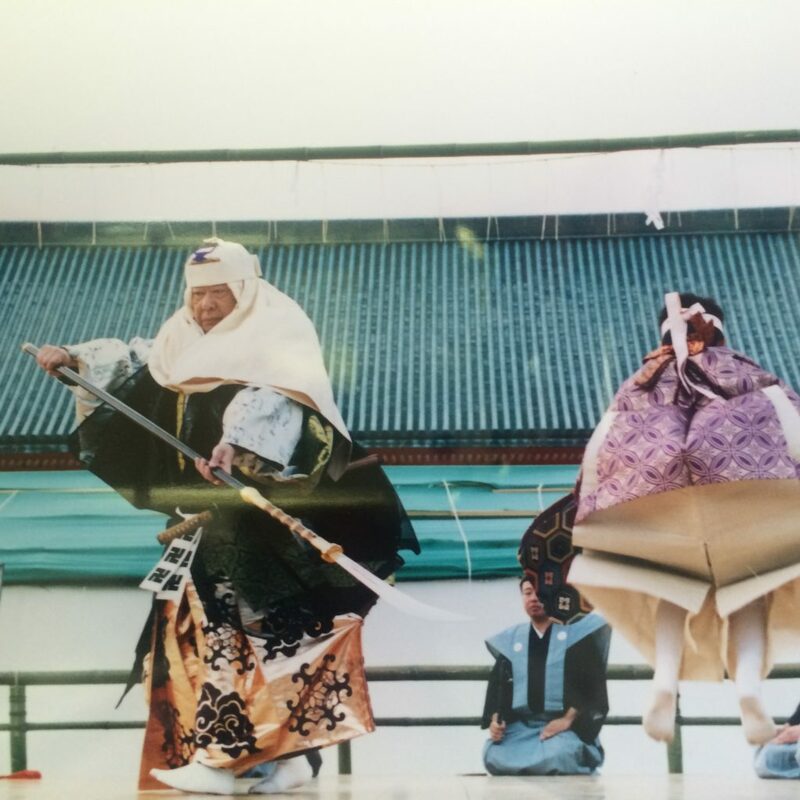 Tickets are on sale at Heian Jingu Shrine, ROHM Theatre Kyoto, Kyoto Concert Hall, Takashimaya, and Daimaru Department Stores, JR Kyoto Station Tourist Office (2nd Fl. 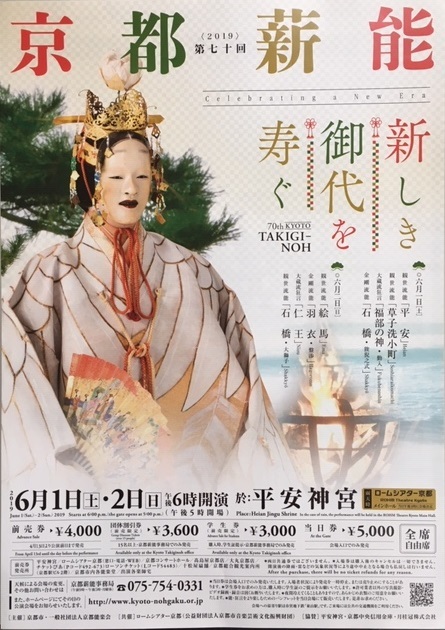 ), Tomatsuya, and Kyoto Noh theatres, electronic tickets: Ticket PIA (P code: 492-673) , Lawson (L code: 54483) and the following website: http://eventregist.com/e/3OrfZtQySmPM from April 14th. 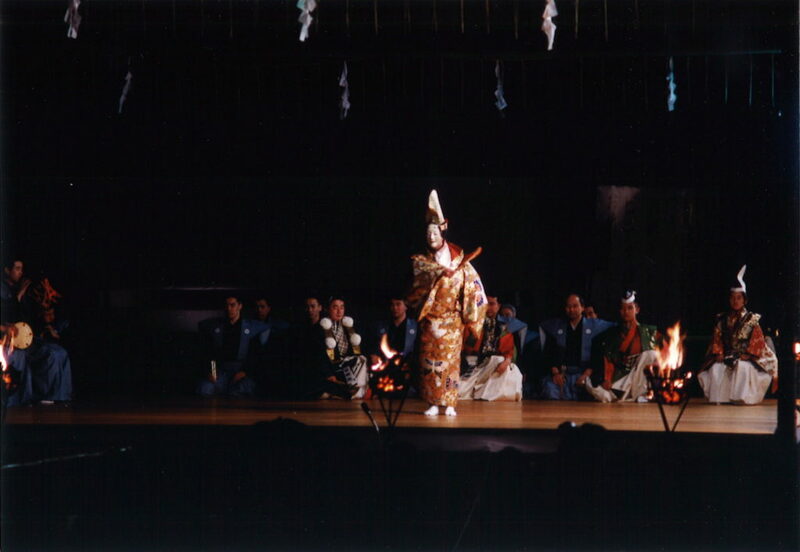 Advance sale tickets will be sold until the day before the performance. All picture taking or recording of any kind (video or audio) is strictly prohibited.